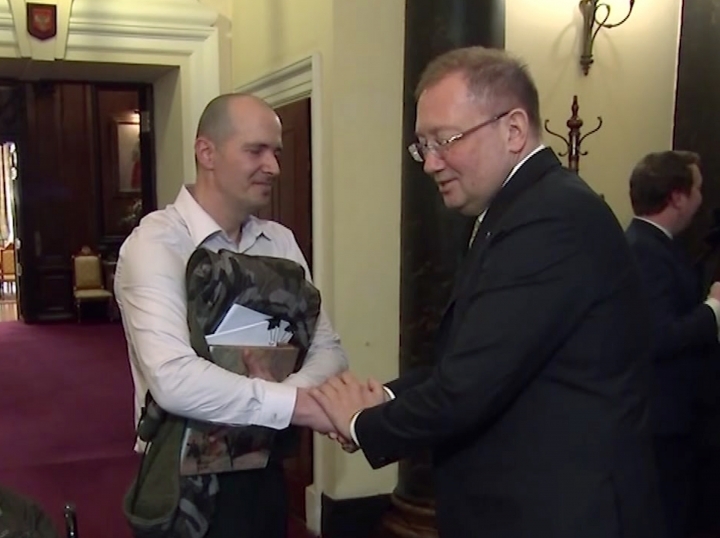 LONDON — A British man who survived exposure to a military grade nerve agent said he has questioned Russia's ambassador to the U.K. about the accidental poisoning that killed his girlfriend last year, a newspaper reported Sunday. 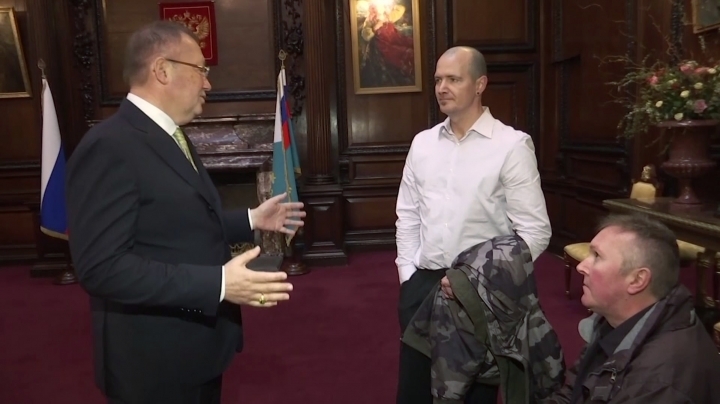 Charlie Rowley told the Sunday Mirror that Ambassador Alexander Yakovenko seemed "genuinely concerned" when the two met Saturday but he thinks he was fed "Russian propaganda" during their meeting at the Russian Embassy in London. "I went along to ask them 'Why did your country kill my girlfriend?' but I didn't really get any answers," Rowley, 45, said. "I liked the ambassador, but I thought some of what he said, trying to justify Russia not being responsible, was ridiculous," he added. Rowley fell severely ill in June after he picked up a discarded perfume bottle near Salisbury, England. British authorities say the bottle contained traces of Novichok, the nerve agent that poisoned former Russian spy Sergei Skripal and his daughter in Salisbury a few months earlier. The Skripals also survived. Rowley's girlfriend, Dawn Sturgess, became sick and died in a hospital after he found the perfume bottle. Britain has charged two Russians, reported to be agents working for the Russian military intelligence service GRU, with attacking the Skripals. Moscow strongly denies involvement. The nerve agent poisoning on British soil ignited a diplomatic confrontation in which hundreds of envoys were expelled by both Russia and Western nations. 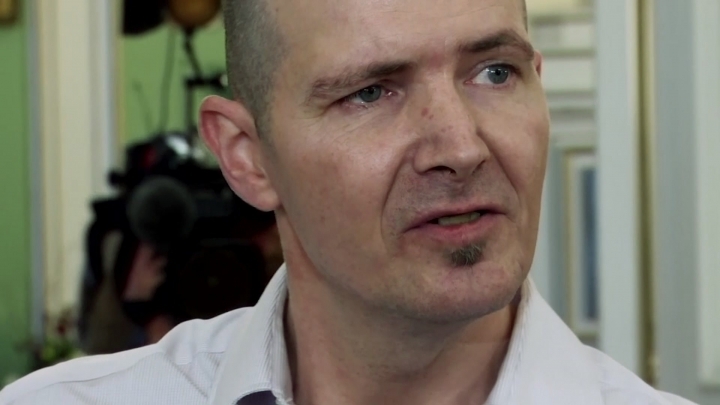 Rowley told the Sunday Mirror said he suffers long-term effects from his exposure. Yakovenko told him the substance used to attack the Skripals had not come from Russia and the country only had small amounts of Novichok, he said. "I'm glad I met him and feel I did find out some things I didn't know before. But I still think Russia carried out the attack," Rowley said. A tweet from the Russian ambassador's account Sunday said: "Met with Charlie Rowley to discuss last year's events in #Salisbury and #Amesbury. He never heard of the questions we put to the British side." The post included a link to a report the Russian Embassy in London issued last month that challenged many of the assertions made by British investigators. "If one is to believe that the bottle was found in a charity bin, how has it been possible that nobody had found it over the several months, before Mr. Rowley did?" the report states.